Home / Opinion / Are EVMs democratic? * The process should be transparent in a manner that the general public can be satisfied that their vote is correctly recorded and counted. * There should be verifiability in the counting of votes and ascertaining of the results reliably without special knowledge. EVMs that are being presently used to conduct elections may be devices of technology excellence. But the moot question is ~ do they comply with the principles of democracy? The answer is: No. The Federal Constitutional Court of Germany in a landmark judgment in March 2009 held the use of EVMs unconstitutional if they do not comply with the ‘Democracy Principles’. The Court did not strike down the EVM ,but left it to the government/election authority to determine whether or not the machines comply with the principles of democracy. These authorities determined that EVMs do not and went back to the ballot paper. Many other countries followed. On 8 October 2013, the Supreme Court mandated the use of voter verified paper audit trail (VVPAT) system in a phased manner to bring about some semblance of democracy principles. The Court observed: “From the materials placed by both the sides, we are satisfied that the ‘paper trail’ is an indispensable requirement of free and fair elections. The confidence of the voters in the EVMs can be achieved only with the introduction of the ‘paper trail’. EVMs with VVPAT system ensure the accuracy of the voting system. With an intent to have fullest transparency in the system and to restore the confidence of the voters, it is necessary to set up EVMs with VVPAT system because the vote is nothing but an act of expression which has immense importance in democratic system”. The Supreme Court has repeatedly stressed that principles of democracy are a part of the basic structure of the Constitution. The legitimacy of the electoral process in India, and, as a consequence, of democracy itself, today faces a grave threat. This is because the system of using EVMs has not only been repeatedly shown to be riddled with glitches, but also because insufficient steps have been taken thus far to allay these concerns. There has also been a spate of VVPAT malfunction in the recent byelections ~ as high as 20.82 per cent in Kairana, 19.22 per cent in Bhandara-Gondia and 13.16 per cent in Palghar by-elections against the EC norm of 5 per cent which itself is too high. 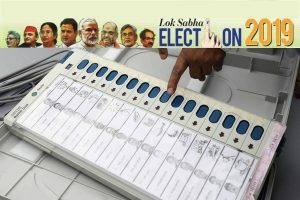 In fact, the Election Commission of India (ECI) has delegated a number of crucial functions regarding the conduct of elections ~ manufacturing, checking and maintenance ~ to the EVM manufacturers (Bharat Electronics Limited, Bengaluru, and the Electronic Corporation of India Limited, Hyderabad) and other agencies over which it has little or no control. Even the most critical manufacture of semiconductor chips and embedding them with software is outsourced to foreign companies. ECI lacks the capability necessary for exercising effective technical control on these activities and operations. It seems to have reposed blind trust in these myriad players and has no means of verifying if they are playing foul. These personnel have also become ‘insiders’ along with the various election officials, and ECI’s lax control makes ‘insider frauds’ possible at several stages. Be that as it may, the integrity of EVMs has been challenged from the time they were introduced on a larger scale in 1999. It flared up in 2009 soon after UPA’s victory in the parliamentary elections. The most articulated opposition to EVM came from those aligned to the BJP. The grounds on which the EVMs were thrashed are ~ the whole world has discarded similar EVMs; use of EVM is unconstitutional and illegal; EVM software and hardware are not safe; EVMs are sitting ducks; insider fraud, storing and counting are concerns; ECI is clueless on technology and there is a trust deficit. ECI’s core technical argument that EVMs cannot be hacked or tampered because these are stand-alone and not ‘networked’ has been nailed by the German IT expert, Dr. Ulrich Weisner, who had won the EVM case in the German Federal Supreme Court. According to him the NEDAP (N.V. Nederlandsche Apparatenfabriek) voting machines now banned in the Netherlands, Ireland and Germany are not networked either. They are similar to the Indian EVMs and need to be connected to a configuration device before the election but work stand-alone with no connection to the internet or other networks during the election and counting phase. Someone with access to the machines can replace the implanted software with any software, including vote-stealing software or a chess programme. Weisner also counters ECI’s claim of ‘non-tamperability’ saying that this can only refer to “by-user-operation-via-keys.” But someone who has sufficient access to open the machines and replace soft or hardware can implant virtually any functionality, including vote stealing that is only activated under certain circumstances and would not be spotted in tests. Under the paper-ballot system, voters could examine and check the accuracy of the candidate’s name and symbol and verify whether it has been correctly marked. In case of electoral disputes, physical reconstruction of the vote for authentication is possible. Vote counting was open and transparent. Under the electronic voting system all that a voter does is to press a button and hear a sound. He/she has no idea whether the vote has been registered and if so to which candidate. During counting also there is no transparency because EVMs are just plugged in and counted on computers. ECI had full control and supervision over the manufacturing of ballot-boxes, printing of ballot-papers, its despatch and counting of votes. 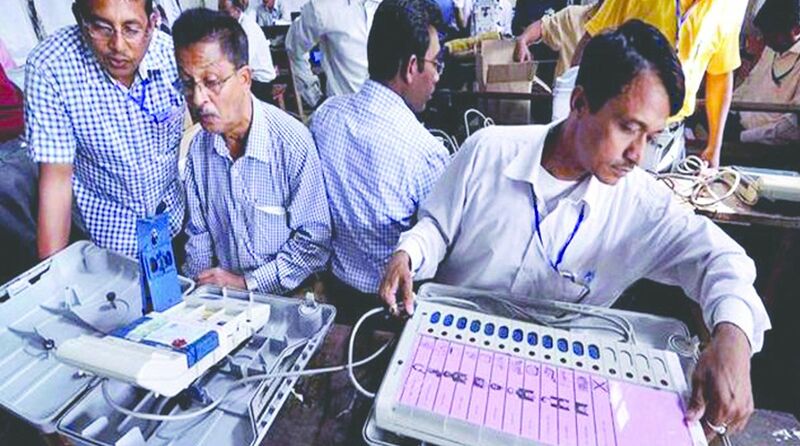 Not so with EVMs that contain two EEPROMS (Electrically Erasable and Programmable Memory) inside the control unit in which the voting data is stored and can be manipulated from an external source. Further, when the foreign companies deliver micro-controllers fused with software code to the EVM manufacturers, neither the manufacturer nor the ECI officials can read back their contents because they are locked. Elections are not an exercise in technology display, but accurate recording of the democratic will of the electorate to their knowledge and satisfaction. EVMs can’t do this. By sticking to these machines in ‘Digital India’ we will have only ‘Digital Democracy.’ Not a genuine one! The writer is a former Army and IAS officer and is presently Convener, Forum for Electoral Integrity.